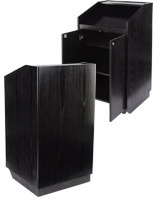 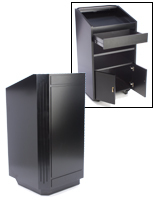 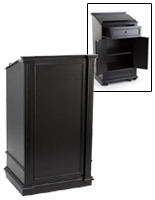 This restaurant reservation station with black woodgrain finish has an open rear storage area for menus, supplies, equipment, or personal items. 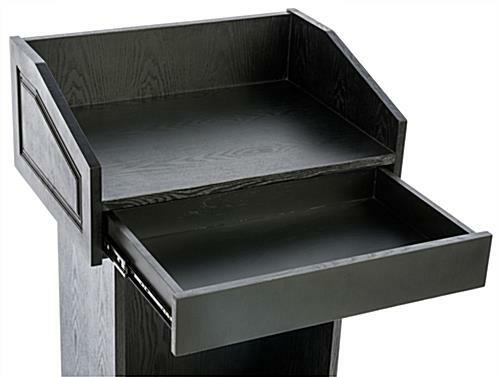 A pullout drawer keeps items within reach while keeping them safe and out of sight. 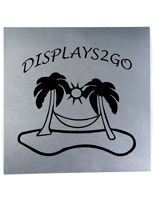 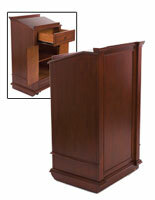 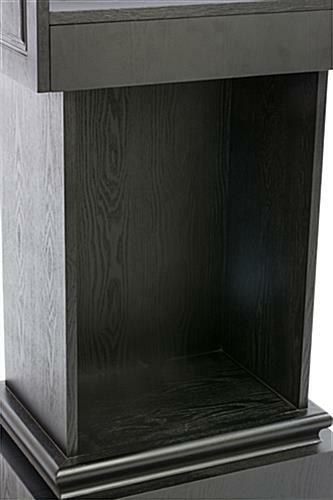 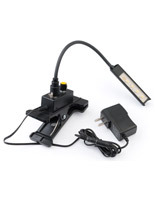 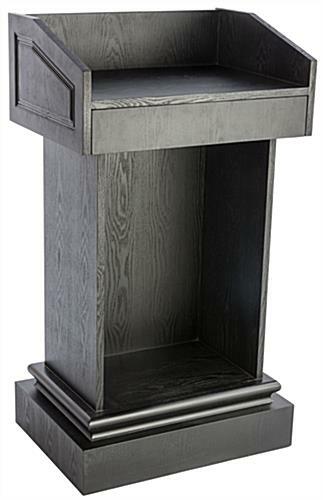 This reservation station, also known as a hospitality podium, features an oversized semi-enclosed reading surface for hostess or concierge use. 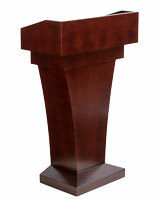 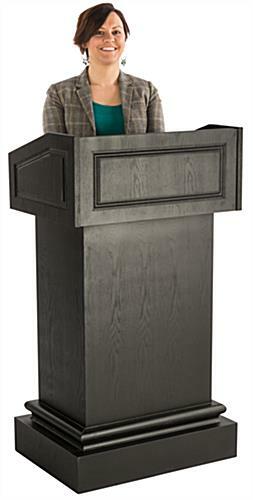 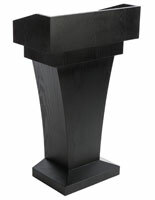 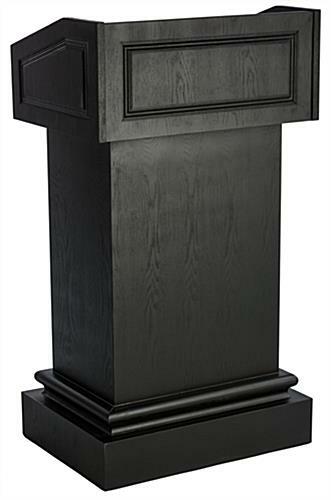 This contemporary lectern can be used at the entrance of just about any business office, dining establishment, or school to greet and direct visitors. 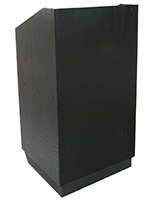 This wooden hostess station for reservations and check-in is constructed of durable MDF for longevity and sturdiness in busy areas. 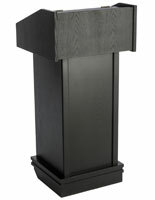 26.9" x 48.0" x 19.8"
26.8" x 8.0" x 19.8"
19.5" x 28.8" x 13.4"
22.9" x 2.8" x 13.0"